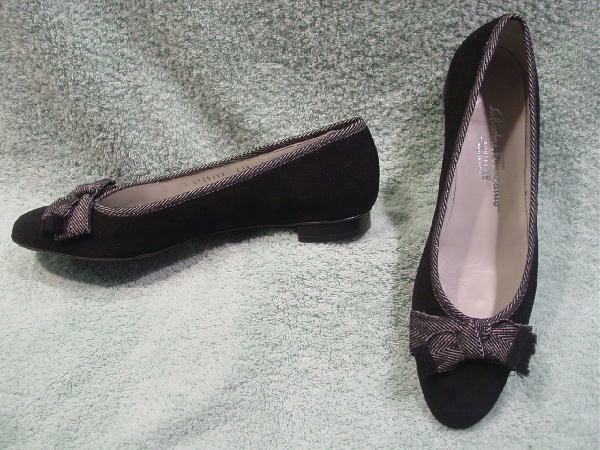 These soft black suede flats are by Salvatore Ferragamo Boutique and were made in Italy. 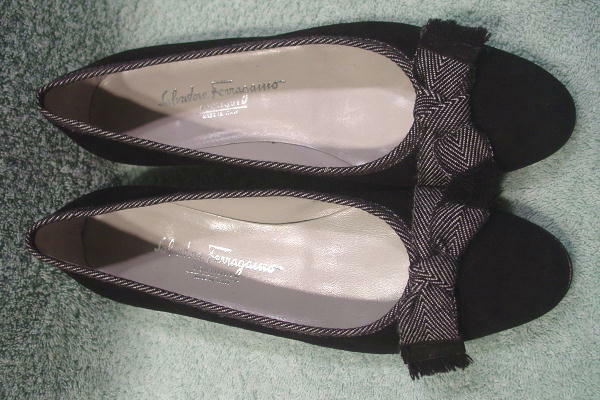 They have a black and white fabric bow on the vamp and the same fabric edges the shoe opening. There are light gray leather linings and insoles. 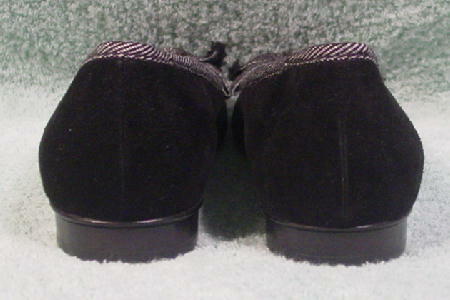 The left shoe has a light small scuff mark on the inner side back. She only wore them a few times.